FOX Sports got New Yorkers’ motors running Feb. 16-19 with a NASCAR stunt in one of New York City’s most heavily trafficked locales. 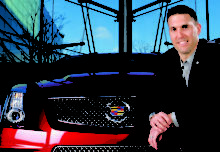 To promote its coverage of the Daytona 500 on Feb. 21, the media brand placed the No. 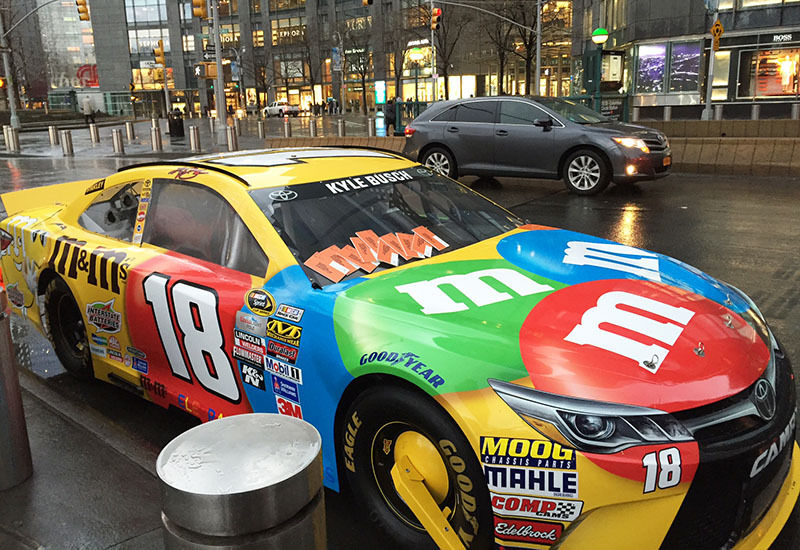 18 M&M’s NASCAR Sprint Cup Series vehicle of defending champion Kyle Busch in Manhattan’s bustling Columbus Circle. Untouched for three days, the car gradually racked up a pile of parking tickets and endured the dreaded parking enforcement boot (custom-made for the vehicle’s extra large tires), turning heads and generating buzz along the way. For three days, the NASCAR vehicle collected tickets in Columbus Circle. The vehicle baffled New Yorkers for three days before FOX began to reveal clues. The brand eventually inscribed “#DaytonaDay” and “Happy Daytona Day” on the car’s back and front windshields to promote the approaching race. 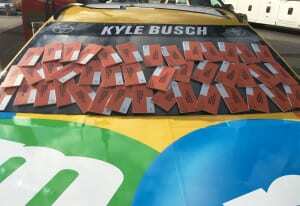 A closer look at the parking tickets, which read “#DaytonaDay” and listed the Daytona International Speedway as the mailing address, also hinted at the vehicle’s purpose. 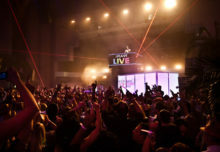 Throughout the four-day event, however, there was no mention of or branding related to FOX, prompting plenty of organic chatter regarding the mysterious car on social media. On the final day of the activation, the car was towed away by a Daytona-branded truck and driven around the city—including right past M&M’s advertising agency. 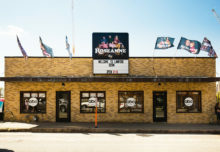 The vehicle was then taken on a media tour with a three-person pit crew who visited the set of morning news show “FOX & Friends” and a handful of other local FOX-owned affiliates. “If you’re going to launch a campaign for Daytona 500, you want to be in New York City, especially if you’re going to focus on going beyond the core [audience],” says Whit Haskel, vp-consumer marketing at FOX Sports. “And when you create efforts like this, you definitely see that we got beyond it.” Agency: Bespoke Sports & Entertainment, Charlotte, NC.